At Restovich Braun & Associates in Rochester, Minnesota, we offer exceptional advocacy and support for those who suffered an injury or loss as the result of someone else's negligence. In addition to handling all types of personal injury claims, we also offer aggressive defense counsel for those facing any type of felony or misdemeanor charge as well as compassionate, personalized representation for those going through divorce. Regarded as one of the top full-service general legal practices in the region, our law firm also offers high-quality services in estate planning, business law, administrative law, nursing license defense and many other areas in order to help our clients with virtually any legal matter they may face. Maintaining a successful appellate practice, we can help you challenge a previous ruling regarding your case to help you achieve the justice you deserve. Serving individuals, families and business owners throughout southeastern Minnesota and across the country, the attorneys at our law firm possess decades of combined legal experience, and we work as a team in order to take advantage of our relative strengths as attorneys to better address the needs of those we serve. Originally established in 1992, we have become the trusted source for high-quality, cost-effective representation to those throughout our region, and we promise to do whatever we can to help you secure a brighter future for yourself and your family. 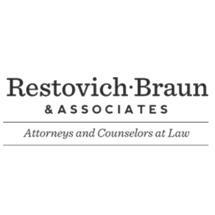 To find out more about how Restovich Braun & Associates can best serve your needs, you can contact our law office to speak with one of our attorneys. For our personal injury clients, as well as those with needs involving estate planning or probate, we offer free initial consultations, so you can discuss your matter with no risk and no obligation.